SCA has been used to carry out the construction of the shells of the new "Is Molas Resort" in Pula (Italy) designed by the architect Massimiliano Fuksas. 2014-15. SCA is a digitally adaptable formwork system for reinforced concrete roofs of complex geometry. It is a two-fold system consisting of a software and a hardware system. On the one hand, the parametric-associative software is developed to automate the design of all components of the wooden formwork. All constructional details have been developed so as to be modulated according to variable design specifications (including maximum dimensions of the individual units of the formwork, the material thickness, the diameter of the cutting tool, the assembly tolerances, etc.). On the other hand, all design features of the hardware system have been developed so as to make the system fully digitally manufacturable via CNC milling machines and to be assembled quickly and precisely through interlocking parts. THE PROCESS. After choosing the geometry of the roof to be developed, the components of the formwork are automatically created by the software in three dimensions according to the custom settings. In the same automated fashion, the software unfolds the pieces in two dimensions and so the parts are ready for immediate CNC programming and production. 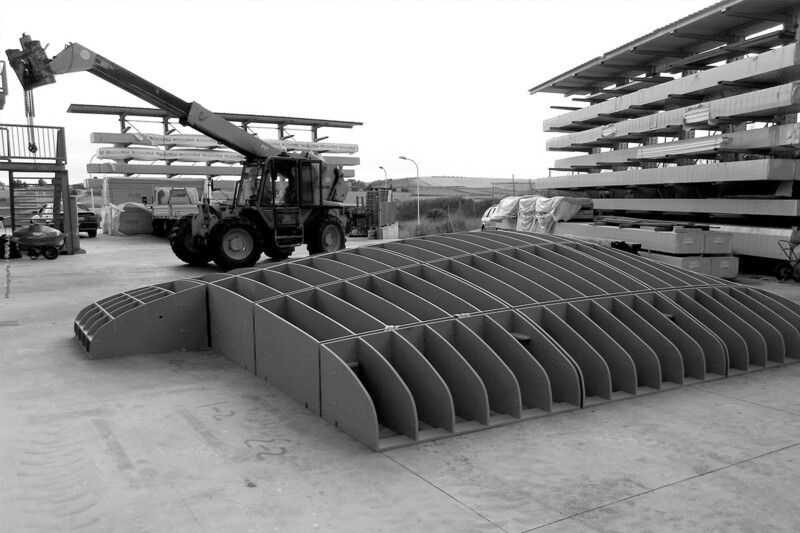 All of the formwork components have been designed to be assembled with interlocking joints. 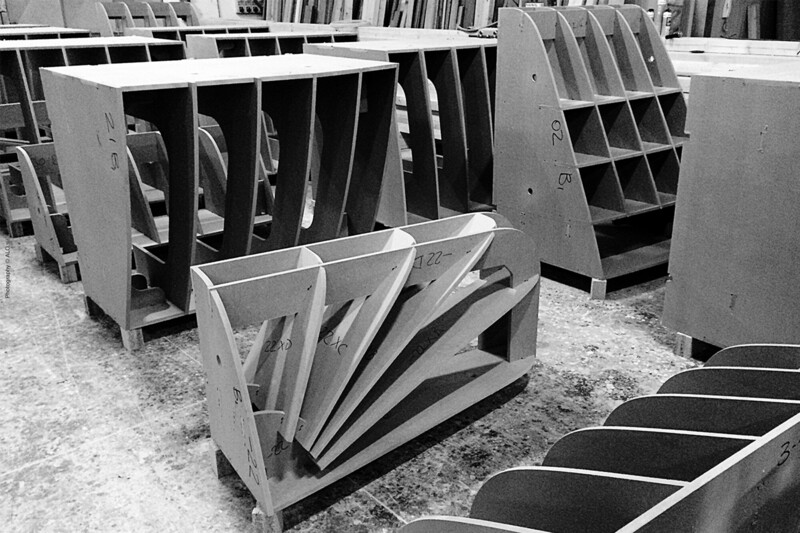 As a result, the assembly is extremely rapid although the pieces are all different. The same assembly is facilitated by the tagging of each component which also serves as a reference for the installation of the formwork at the construction site. THE BENEFITS. The SCA integrated system innovates the production processes under several points of view. First, it allows the contractor to develop easily and quickly custom formworks with minimum design effort and to start the production of the parts immediately without additional interventions on the design of the parts. Then it allows to speed-up manufacturing and construction, to increase the accuracy of the finished product (comparing to other techniques mostly based on semi artisanal procedures), to reduce waste both in the workshop and on-site, and finally to increase the energy efficiency and sustainability of the whole processes.